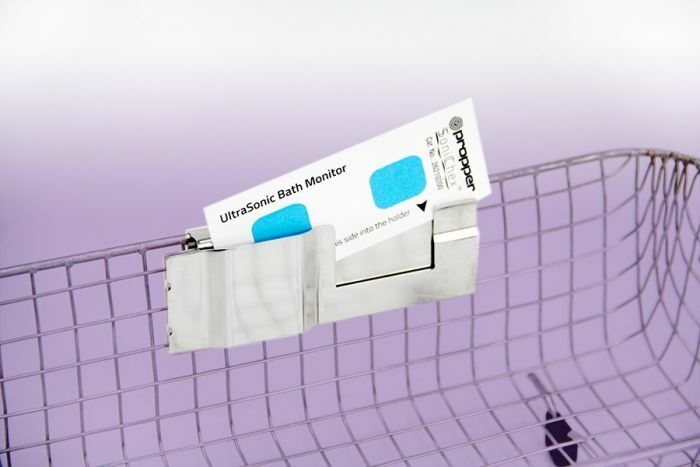 This Propper holder is used with the SoniChex indicator to monitor the overall strength and performance of your ultrasonic cleaner. When this metal holder is used with the SoniChex indicator, the visible spot of the indicator represents exposed surfaces while the covered spot represents instrument parts that are challenging to clean. These Propper holders are sold individually. Insert SoniChex indicator into holder. After cleaning cycle, check for presence of blue soil. Remaining soil indicates a fail.